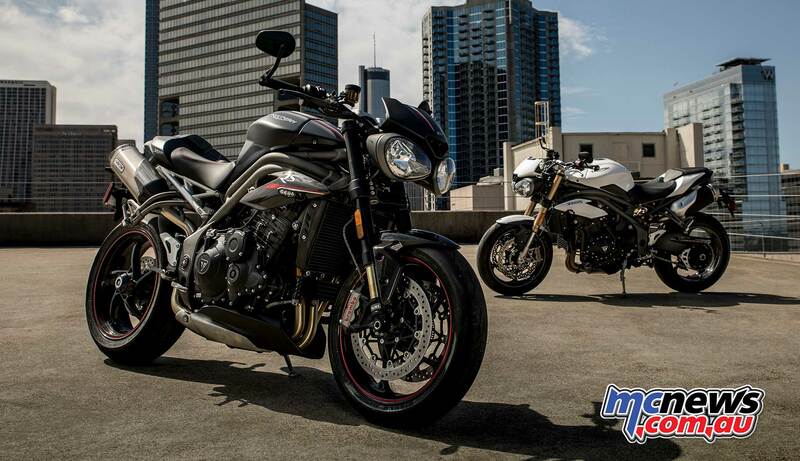 Almost 25 years on from when the original gruff and heavy steering Speed Triple broke ground in 1994, Triumph have overnight unveiled what 2018 has in store for what is essentially the modern icon of the Triumph range. It must be said that the Speed Triple model did much to herald in the new age of Triumph as the machine was almost over-engineered in the engine department. 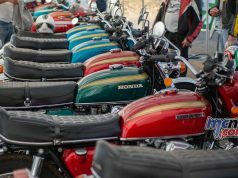 This was done purposefully by Hinckley to ensure that it could rebuild the image of the then only freshly relaunched brand, putting to bed any lingering doubts about the reliability of modern British machinery. 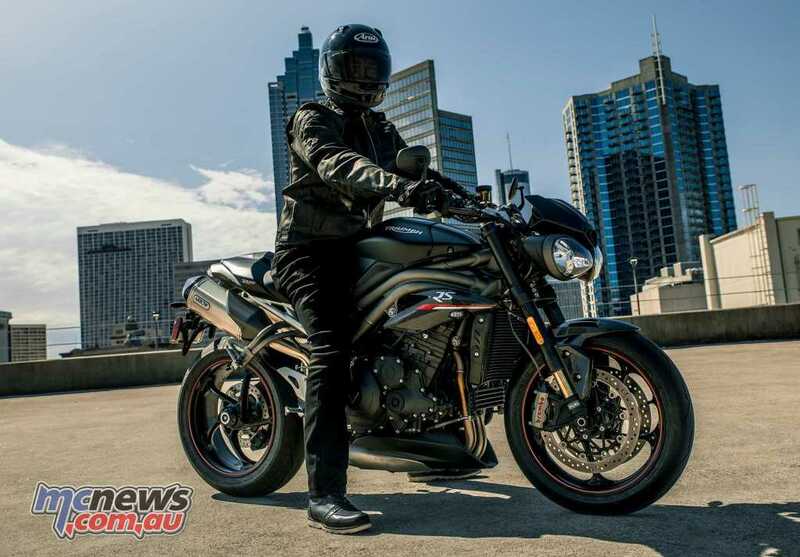 It worked, that original Speed Triple proved to have a bulletproof engine, and subsequent models have also proved Hinckley’s engineers capable of Japanese levels of build quality. 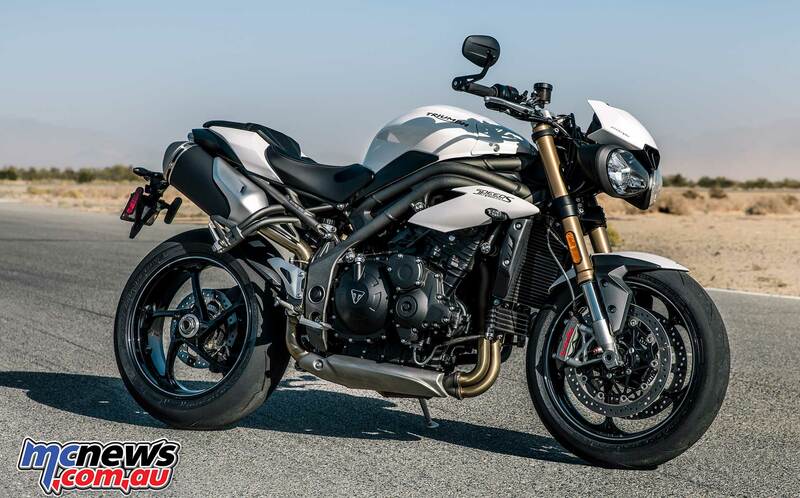 Many had expected the Speed Triple to perhaps muscle up even further in 2018 with perhaps a boost in capacity on the cards, as the Speed Triple has displaced 1050cc since 2005. 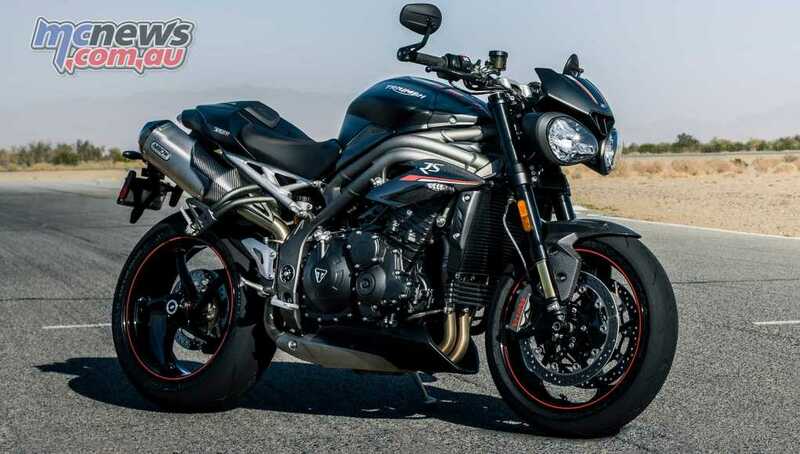 Instead Triumph have thoroughly re-engineered the 1050cc engine with with over 100 new parts and a 1000rpm higher rev-limit in what Triumph promise is a much more free spinning powerplant. A new freer-flowing exhaust, larger catalyst and lighter header system improves gas flow and performance in both models. 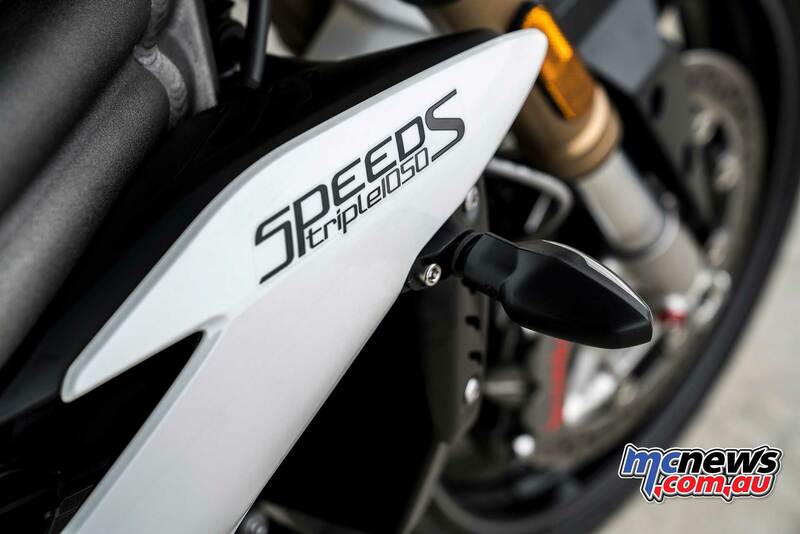 The restyled high-level silencers on the Speed Triple S and lightweight sports silencers as standard on the RS bring a significant improvement to the roar of the Triple engine, making the latest model the best sounding Speed Triple sound ever. An improved gearbox and slip assist clutch combine to improve rider comfort and help to deliver that perfect Speed Triple ride. 148 horsepower at 10,500rpm is the claimed number of neddies, which seems ample for such a machine, but the 117Nm of torque peaking at 7150rpm is really what it is all about in this class of machine. 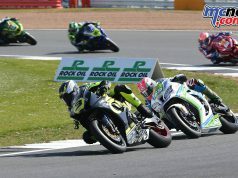 Compared to its most recent predecessor the 2018 model is up by 8 horsepower and 5Nm, the peak power is produced 1000rpm higher but the peak torque muscles in slightly lower in the rev range than before. This should make for an even more flexible and fun engine than before. 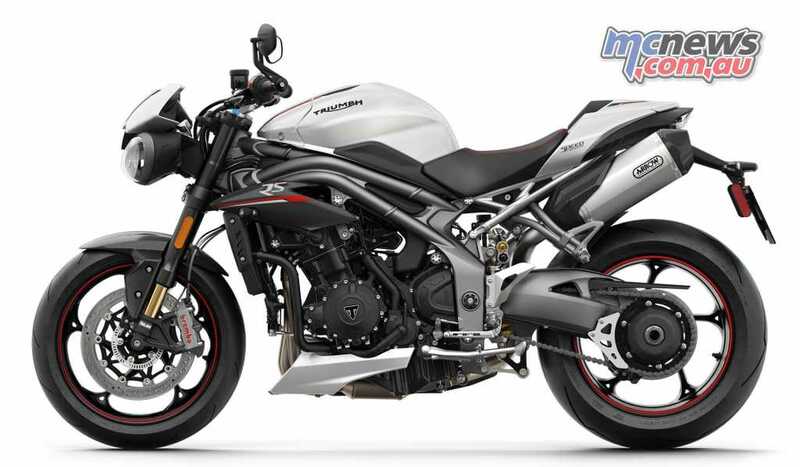 For 2018 the Speed Triple also gets the same style of flash new TFT instrumentation that they debuted on the recent update to the Street Triple. 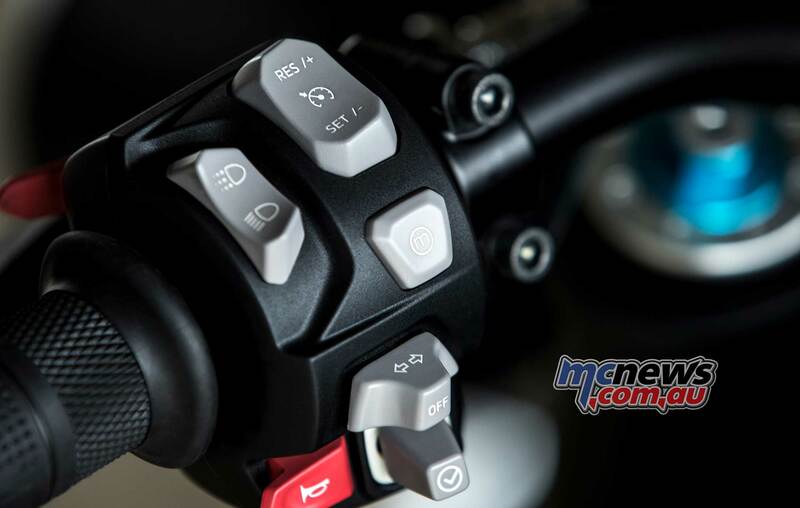 A full 5″ TFT faces the cockpit of the Speed Triple and is controlled via new backlit switchgear Triumph have dubbed ‘switchcubes’. ABS and traction control modes along with the new cruise control functionaility is controlled from the bars. A latest generation IMU by Continental guides the responses of the traction control and ABS systems. 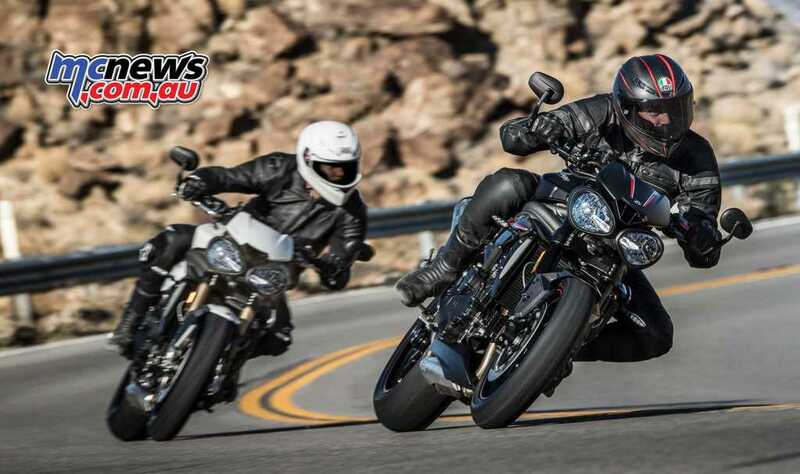 Both the Speed Triple S and RS models share the base engineering package but the RS scores tasty high-spec Ohlins suspension over the S models also fully-adjustable Showa units. A sprinkling of carbon fibre and a standard Arrow exhaust system on the RS helps to see it tip the scales 3kg lighter than its sibling, 189kg plays 192kg. 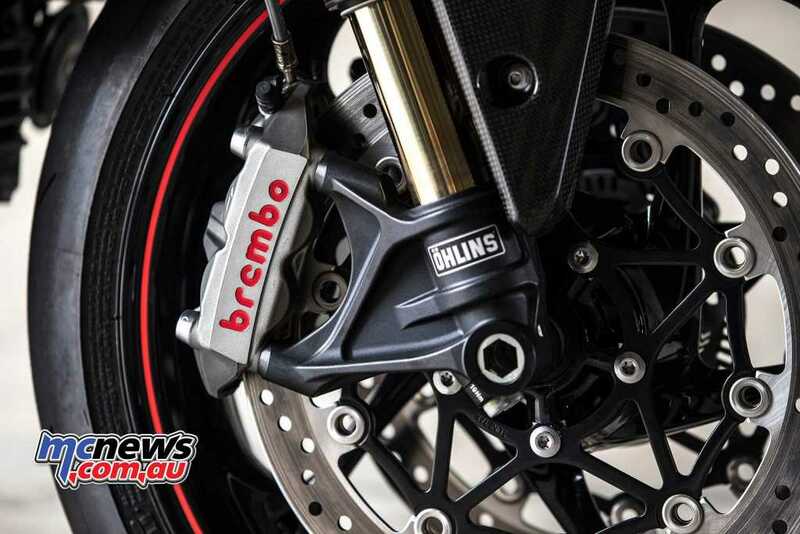 Brembo four-piston Monobloc calipers grace both models. Chassis geometry is identical across the two models as is the low 825mm seat height. 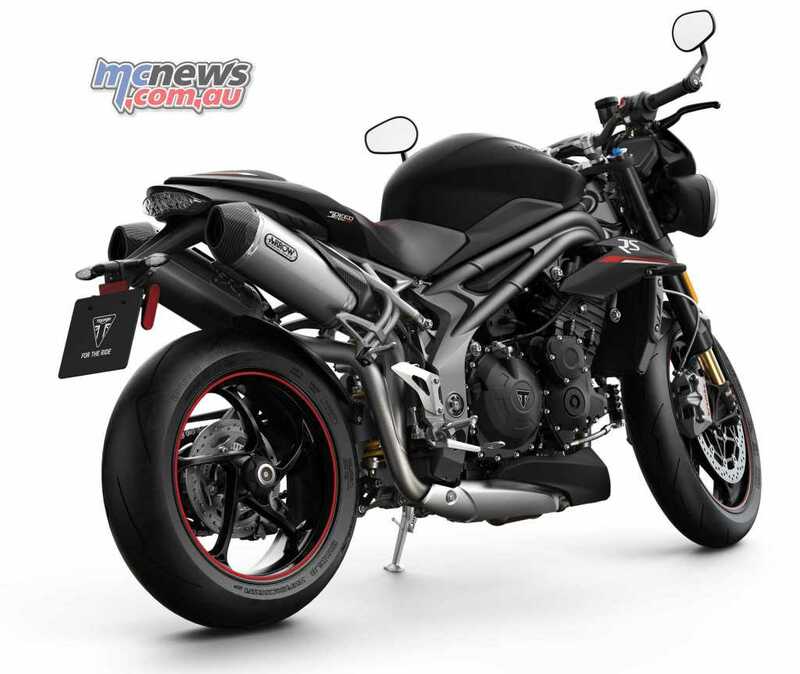 The full Triumph marketing guff on the new models is covered over the next few pages.